Sonia Boyajian is a Los Angeles based jewelry designer. Her latest collection is based on the surrealist movement, with handmade jewelry inspired by artists such as Paul Klee, Max Ernst, and Salvador Dali. 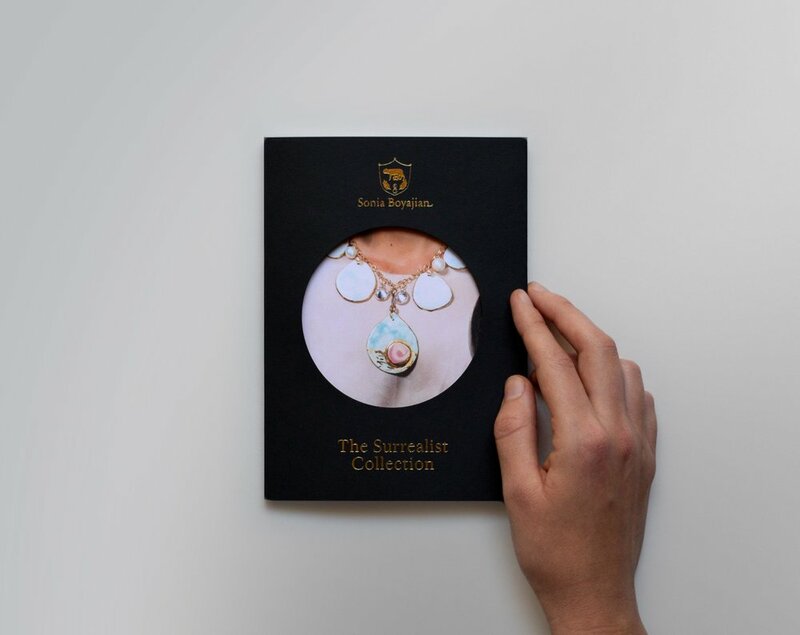 This lookbook was designed with surrealist concepts in mind, featuring a double front cover which was die-cut to show the image beneath. With no traditional front or back cover, the book can be read from either direction until the non-directional middle spread is reached.